Your subscriptions will be listed and the Subscription ID clearly shown again the Role Based Access control which you have been granted to the subscription will be shown and the status of the subscription. A few weeks ago https://blogs.msdn.microsoft.com/uk_faculty_connection/2017/03/13/setting-up-azure-at-your-institution/ I shared how institutions could setup user accounts across an institution using RBAC. As I discussed in the blog there are two best practice principles around providing Azure at your institution. 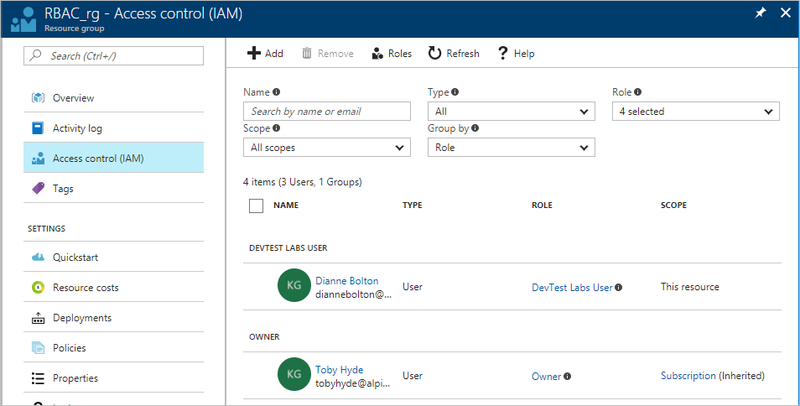 Azure Role-Based Access Control (RBAC) enables fine-grained access management for Azure. Using RBAC, you can grant only the amount of access that users need to perform their jobs. This article helps you get up and running with RBAC in the Azure portal. If you want more details about how RBAC helps you manage access, see What is Role-Based Access Control. Within each subscription, you can grant up to 2000 role assignments. Select the name of the resource group from the Resource groups blade. 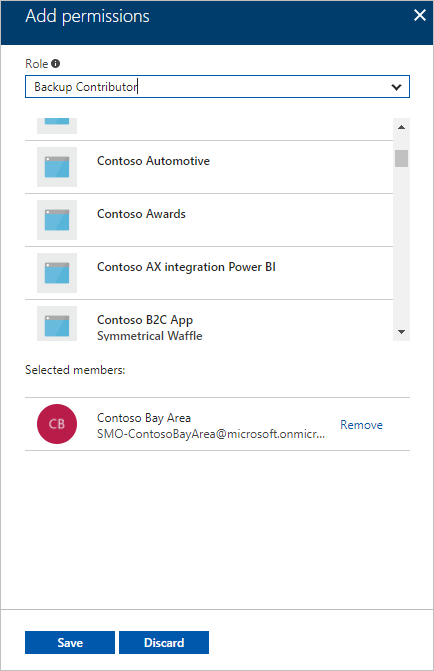 Select Access control (IAM) from the left menu. The Access control blade lists all users, groups, and applications that have been granted access to the resource group. Notice that some users were Assigned access while others Inherited it. Access is either assigned specifically to the resource group or inherited from an assignment to the parent subscription. Classic subscription admins and co-admins are considered owners of the subscription in the new RBAC model. You grant access from within the resource, resource group, or subscription that is the scope of the role assignment. Select the role that you wish to assign from the Select a role blade. Select the user, group, or application in your directory that you wish to grant access to. You can search the directory with display names, email addresses, and object identifiers. Select OK to create the assignment. The Adding user popup tracks the progress. Use the check boxes on the Access control blade to select one or more role assignments. A box will pop up asking you to confirm the action. Select Yes to remove the role assignments. Inherited assignments cannot be removed. If you need to remove an inherited assignment, you need to do it at the scope where the role assignment was created. In the Scope column, next to Inherited there is a link that takes you to the resources where this role was assigned. Go to the resource listed there to remove the role assignment.